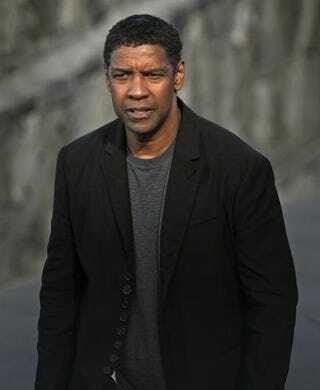 Denzel Washington poses for photographers after the screening of his film The Equalizer during the 62nd San Sebastian Film Festival in Spain on Sept. 19, 2014. For the last two weeks, Sony has been dealing with the backlash that’s occurred since the emails of high-level executives were hacked and released. From emails calling Kevin Hart a whore to racist comments regarding President Barack Obama’s movie tastes, it’s safe to say that some of these executives are having the worst month ever. But it’s not over, not by a long shot. In recently released emails discovered by Radar Online, a Sony executive was on the receiving end of emails from a producer who warned the studio about casting Denzel Washington, stating that Washington should not be cast in films that will be played overseas because he’s black, so they’ll flop. According to Radar, a producer, whose name was removed from the emails, sent the concerns to Sony Chairman and CEO Michael Lynton. In the emails, the producer suggested that Sony not cast black actors in films with an international market. “No, I am not saying The Equalizer should not have been made or that African-American actors should not have been used (I personally think Denzel is the best actor of his generation),” the producer stated in the email. Ironically, The Equalizer went on to make $191 million at theaters worldwide, and almost half of the ticket sales were international. Unlike the previous Sony emails, it’s unknown whether Lynton shared the same sentiments as the unnamed producer. But I’m sure it’ll be only a matter of days before this unnamed producer is actually named.